Dr. Omey was sincere and caring. She did everything she could think of to find out what my hip and backpain were from. Dr. Omey was sincere and caring. She did everything she could think of to find out what my hip and back pain were from. The staff was friendly and helpful and I would definitely go back if I have anymore issues in the future! 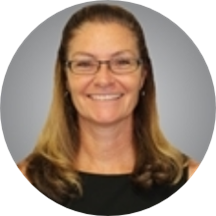 Dr. Monica Lynn Omey is a board-certified orthopedic surgeon. She graduated with a Bachelor of Science degree from Tulane University in New Orleans, Louisiana in 1989. She graduated from Tulane University Medical School with a Doctor of Medicine degree in 1993. She then went on to complete a five-year orthopedic surgery residency at John Peter Smith Hospital in Fort Worth, Texas. After that, she moved on to Boston to complete a one-year fellowship in Pediatric and Adolescent Sports Medicine out of Harvard University’s program at Boston Children’s Hospital. Dr. Omey returned to Fort Worth in 1999 to begin practicing Orthopedic Surgery. She loves getting people back to their desired activities at whatever level. She performs arthroscopies, joint replacements and repairs fractures. She also treats many other areas of general orthopedics. She has been a treating physician for many sports teams over the years, including the Texas Tornado hockey team in the NAHL, Birdville High School sports program, Texas Motor Speedway and the Texas Brahmas hockey team in the CHL. Dr. Omey participates in the Trauma program at Texas Health Harris Methodist Hospital Fort Worth, a Level II Trauma center and treats many different types of fractures. On a personal note, Dr. Omey is married and has three children. She spends her free time running, traveling and going to her kids’ many different activities. She was so kind! I had to bring my baby with me and she didn't mind at all. Dr. Omey has been very kind and respectful to both our son and us. Fine. I do not like having to fill out all the documents by hand, esp. if little has changed. I should eithe do it electronically, or just fill out what has changed. All doctors have this issue not specific to Dr. Omey. But its a waste of time.